Ah well. I'd been planning on posting a few more "Your Pastor Is Not..." pieces, but for today, I'm distracted. Distracted by the gentle flickering flames of Hellfire, as it were. Outside of the ever-shrinking self-referential bounds of the PC(USA), the chatter in the Christian blogosphere has been spitting out controversy. And oh, does we Christians love us some controversy. 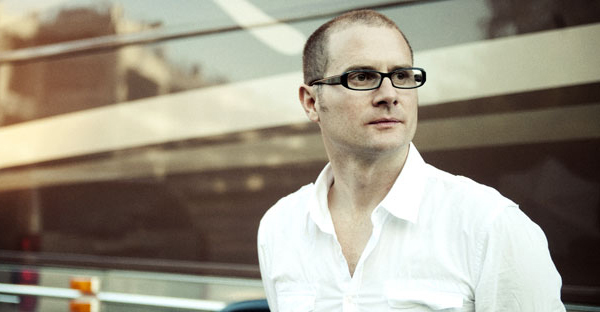 The theological battle royale that has once again distracted Christians from their primary task of, you know, being Christian has to do with an upcoming book by Rob Bell. 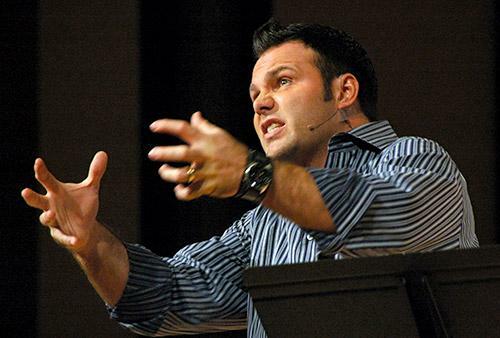 Rob Bell, in the event you do not know of him, is the pastor of Mars Hill Bible Church. He's evangelical, thoughtful, hopeful, and passionate about the Gospel. He approaches the Gospel as good news, and pitches it in a way that neither insults the intelligence nor troubles folks who expect Good News to sound, you know, good. Here, it's important that we not confuse Rob Bell with Mark Driscoll, who leads the Mars Hill church in Seattle with testosterone-addled neofundamentalist fury, and whose primary Twitter hash tag is #greatbellowingmeatsock. They are not even remotely the same guy. What folks are up in arms about, apparently, is that Bell's latest book...or, rather, what they're inferring from the promo teaser and the book jacket...might possibly imply that Hell is not a central and significant part of Christian doctrine. It's an outrageous and unbiblical heresy! Without the burning toasty fires of Divine Fury applied to the toastable tushies of infidels, Jesus has no meaning! It's just like John 3:16 says: God so hated the world that He had to kill His own kid so that He wouldn't have to stick unbelievers on a spit, boil them in the fondue flames of Gehenna, dip them in a vat of nicely melted aged sharp cheddar, and then munch them down. Repeatedly. Forever. That's what both my fundamentalist and my new atheist friends tell me is the essence of the Gospel, and they know about Jesus better than anybody. Now, there's no way to know what exactly Rob Bell has said, given that the book isn't out yet. Looking at the pre-publication uproar, I find myself wondering, for a long instant, whether or not it comes primarily out of Bell just having a really, really good publicist. I've read and listened and watched Bell, and from that foundation, I'm not sure I totally agree with him on everything. My takes on Hell and Universalism may differ from Bell's in some nontrivial ways. I'll know better once I've read the book. But that Bell consistently chooses to focus on the grace and the goodness of the Gospel, and to place the joy of Christ at the heart of his proclamation, well...it's commendable. Hell-based evangelism is and has always been a contradiction in terms. I think he's well placed as a pastor in a church called Mars Hill, which draws it's name from an important moment in the Apostle Paul's ministry. You know, Paul, who realized that to spread the Gospel, you can't jabber away at folks with in-group terms of art. You have to find ways to express it that meaningfully speak it's promise to people who haven't been hermetically sealed away in the AmeriChrist echo chamber for their whole homebirthed/homeschooled/youthgrouped/biblecolleged lives. That is, after all, the essence of being an effective proclaimer of the Good News.